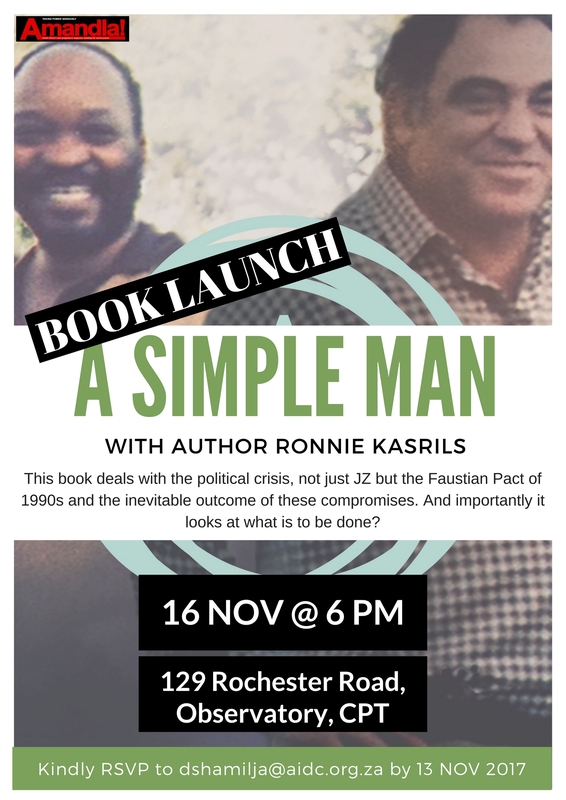 AIDC and Amandla will be launching Ronnie Kasrils’ new book “A Simple Man”. This book deals with the Faustian Pack of the 1990s and the current political crisis an inevitable outcome of these compromises. 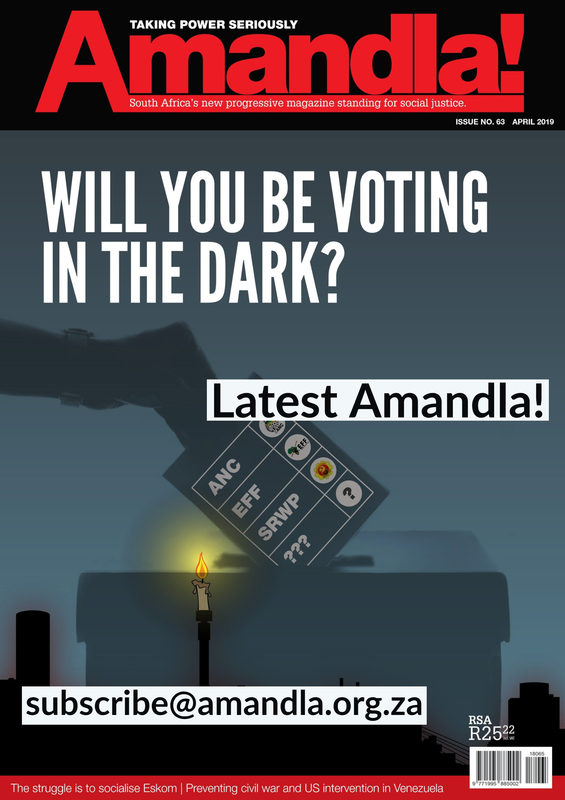 At this Amandla! Forum Karils will go beyond the challenge of diagnosing how we got into this crisis, and will go so far as to say how he thinks South Africa can get out of this mess. We have also invited Floyd Shivambu, EFF Deputy President (TBC) and Mercia Andrews (land rights activist), to engage with Kasrils’ perspective and to offer up their reflections on what is required for South Africa to extricate itself from the current political crisis. Written like a thriller in the engaging style of his previous best sellers about the liberation struggle, this book takes up the tale in 2004 when Ronnie Kasrils became Minister of Intelligence, and continues to the present day. The confusion engendered by Zuma has led Kasrils to explain the enigma and contradictions of the man giving rise to the book’s title. But uppermost in his mind is to explain that corruption and the abuse of power does not begin with Zuma. 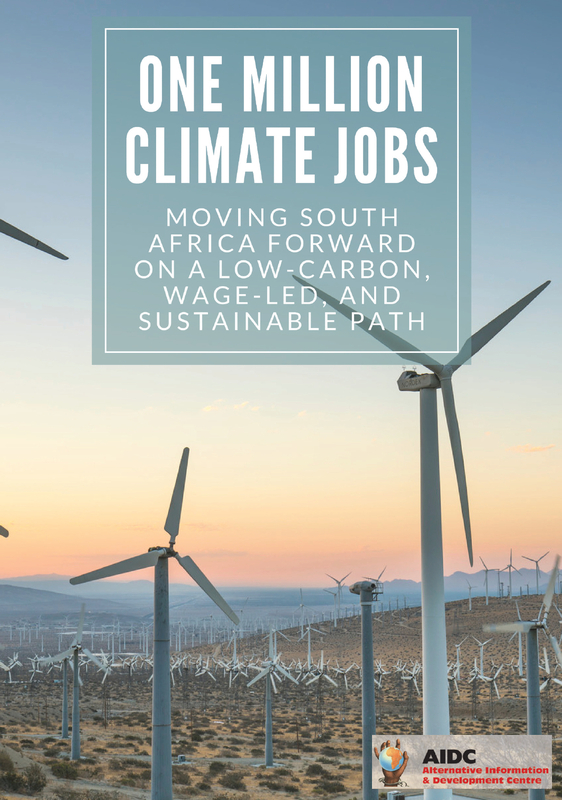 His thesis points to the compromises on the economy going back to Mandela and the negotiations of the 1990s which he refers to as a “Faustian Pact.” Political power but not control of the economy occurred. The latter factor has given rise to the problems of inequality, unemployment, poverty, protest and frustration that besets the country. Kasrils argues that the scandalous corruption and crony capitalism under Zuma is symptomatic of underlying contradictions. Merely replacing Zuma without dealing with the economic factors will not solve the problem and time is running out. Kasrils suggests firm remedies to urgently turn around the situation in the interests of all. A Simple Man – Kasrils and the Zuma Enigma is a gripping page-turner that courageously exposes the intrigues underway and threats to our young democracy. A stark warning rings out of what may face us all if urgent systemic remedies are not taken.